How does your brain control your fingers? Hypothesis: We predicted that the fingers being pulled by the strings, called tendons, would make each individual finger move just by the brain sending a signal to the hand. When you're cutting the cardboard watch your fingers! Also make sure to be super careful with the hot glue gun so you don't burn yourself! If you push on your palm you will see your fingers curl. The brain sends a signal to your muscles and the muscles react by pulling the tendon. The fingers are special because there are no muscles in them. The muscles that control the tendons witch control the fingers are in the palm and also in the forearm . In conclusion, our hypothesis was proven to be correct. The fingers move by a string called the tendon in each finger (including your thumb). Your brain controls the tendon which controls the fingers so you pick up stuff, put down stuff, etc. Therefore our hypothesis is correct. Sabrina Cheung is ten years old and is in 5th grade. She loves tennis and would like to be a geriatric doctor when she grows up. Sabrina has three siblings and their names are Sage, Seth and Sienna. 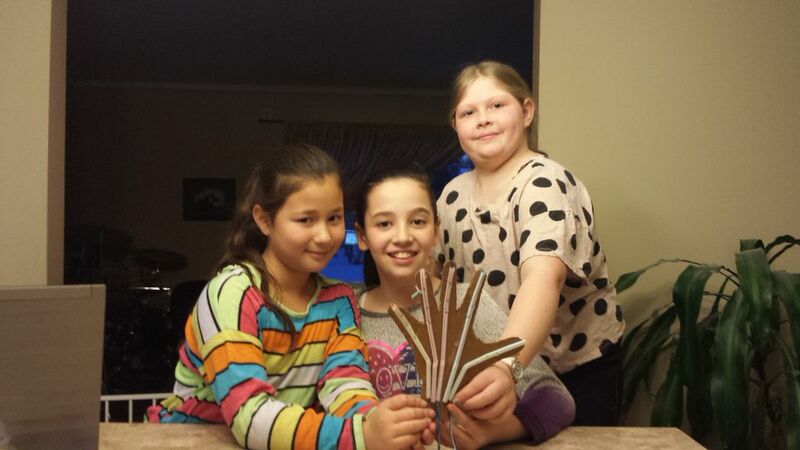 She loves science and working with her friends that's why she did this project. Aine Hoekstra is ten years old in 5th grade. She loves to ski at Thunder Ridge with her brother Stephen. When she grows up she would like to be a physicist. She did this project because she likes joining groups with her friends.